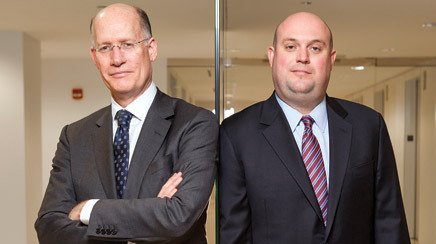 For new global CEO Don Baer, 2012 was a "year of big transition - personally and for the firm." The former communications director for President Clinton assumed the top job in July from Mark Penn, who left the WPP agency to become corporate VP for strategic and special projects at Microsoft. Latin America saw strong “double-digit growth.” Europe didn't perform as well due to macroeconomic factors. In Asia-Pacific, comparisons with a strong year in 2011 were not flattering and the firm parted company with CEO and president Bob Pickard. “We needed to inject some new energy,” adds Baer. Global vice chair Pat Ford took over on an interim basis. New business was a principal driver of overall growth as several larger existing clients experienced budget cuts and organizational changes that impacted billings. However, organic growth from clients such as Intel and Microsoft buoyed the firm, where only a relatively small number of clients – 15% to 20% – are on retainer. The highlight so far, reports Baer, is winning Bank of America this past January, one of the firm's biggest new client gains in the last five years. Burson was part of the WPP Team Bank of America creative-led consortium that won the account from Omnicom. Other significant wins included UnitedHealthcare Medicare & Retirement, Tommy Bahama, and Sony. Public affairs has been challenging for the past couple of years. “If nothing's happening in DC, nothing's happening across the US and globally,” he says. The sequester has also “been a drag” on the practice, but work for Fix the Debt and Monsanto bolstered Burson's public affairs unit. The agency's tech practice suffered due to client transitions as Burson attempted to build on its public affairs and enterprise roots to embrace consumer work. Sabrina Guttman was appointed US tech practice chair last May. Michael Law moved from sister WPP firm Ogilvy & Mather to be-come US president, based in San Francisco. In June, Burson acquired French communications consultancy I&E, merging it to become Burson-Marsteller I&E, the firm's biggest EMEA office and the largest PR agency in France. It also took a majority stake in its Finnish affiliate Pohjoisranta. Penn Schoen Berland acquired entertainment research firm First Movies International. Michael Berland followed Penn out of their eponymous firm in September to lead Edelman's research business. Jay Leveton became interim CEO. Burson also appointed its first global training officer, Gillian Wohl Edick, to develop consistent activities across the world.